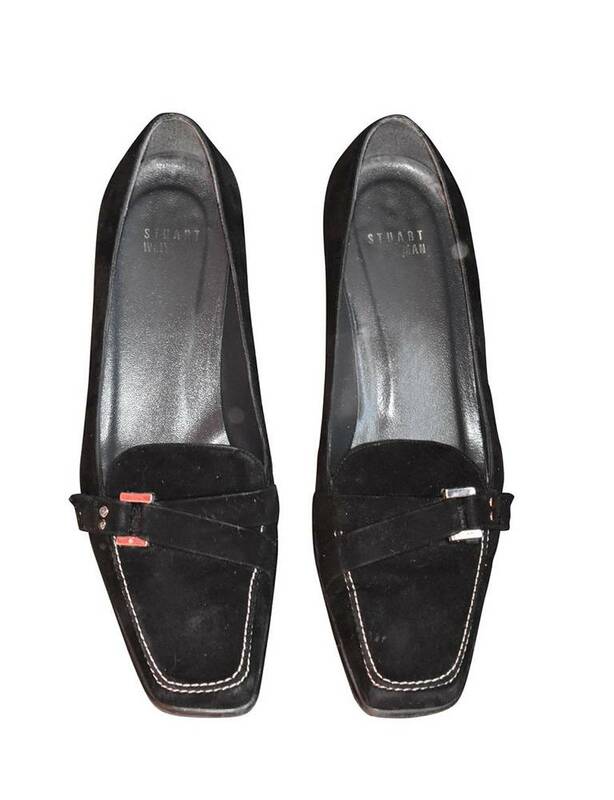 Stuart Weitzman black suede pumps with silver tone hardware buckle detail. 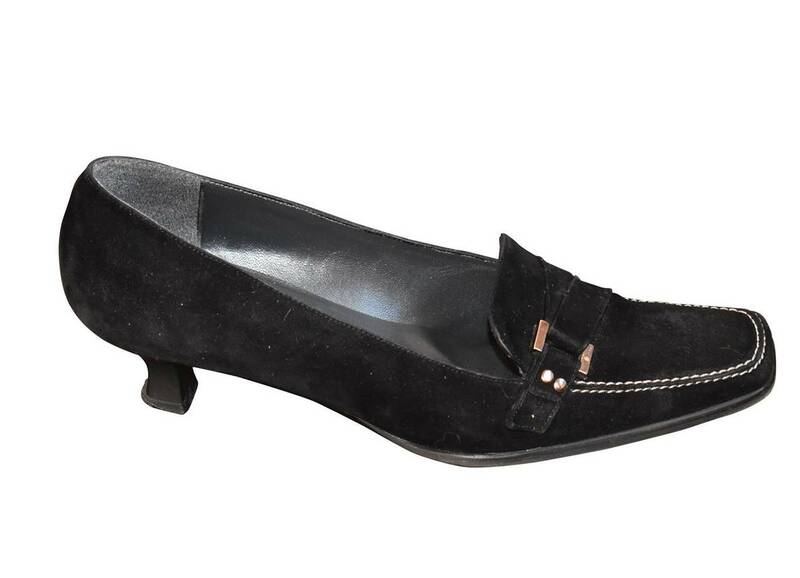 Kitten heels. 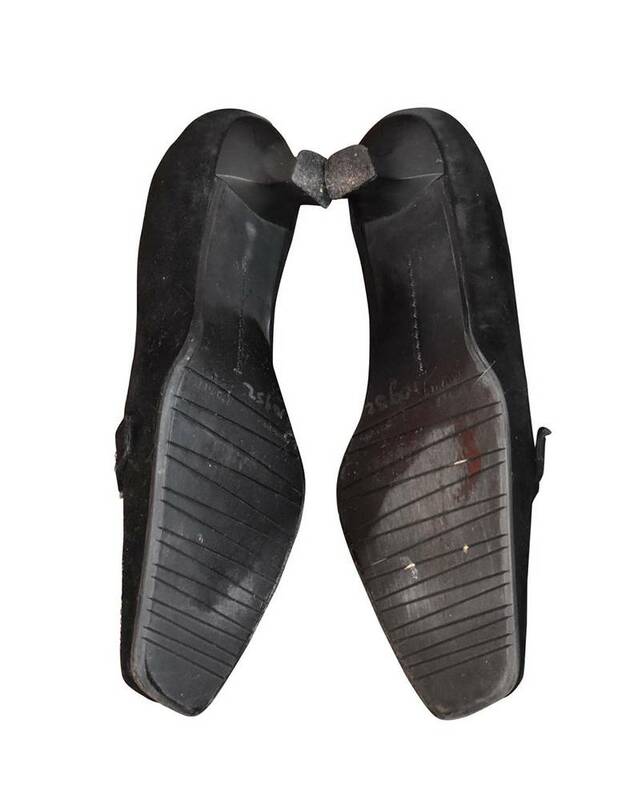 Lightly padded inner sole, rubber outer sole..